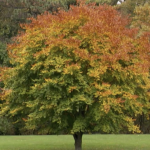 It is important to look back in order to look forward. 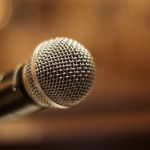 So at a time when the community is embarking on revitalization projects in downtown–and specifically along California Street–it is appropriate to reflect on the past, and its role in shaping the present and future. 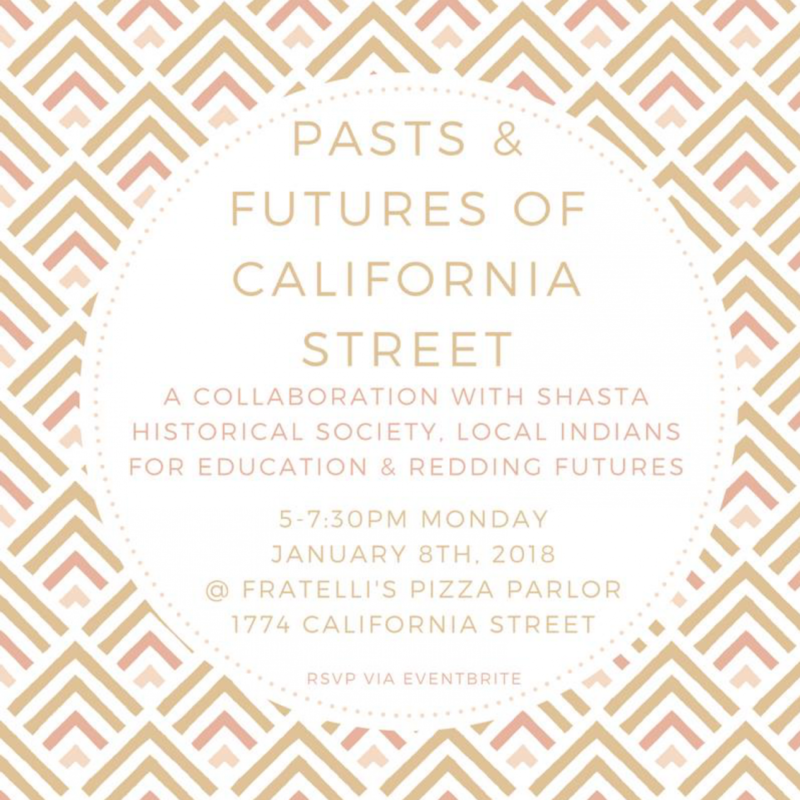 Therefore, The McConnell Foundation hosted Pasts & Futures of California Street at Fratelli’s Pizza Parlour in Foundry Square at 1774 California Street in downtown Redding. It was a collaboration with community organizations: Shasta Historical Society, Local Indians for Education, and Redding Futures. 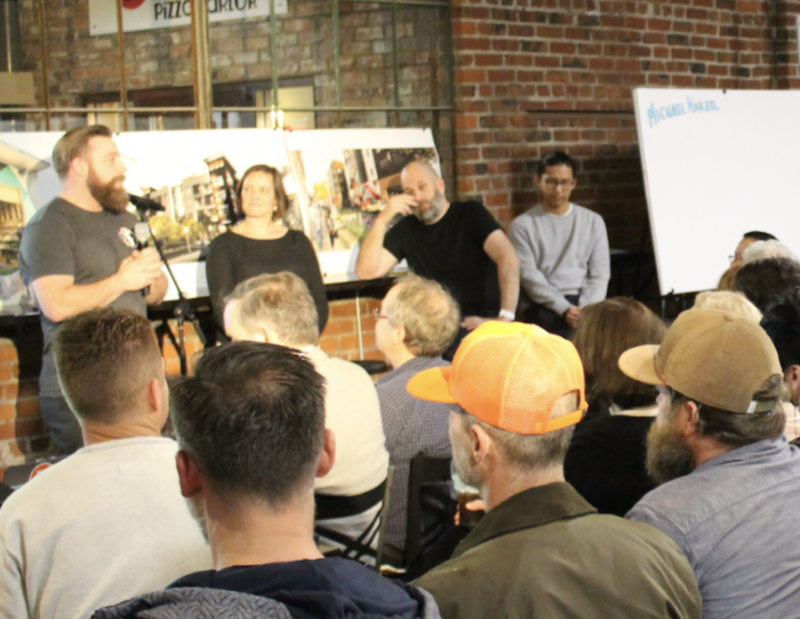 The event featured a brief overview of upcoming projects on California Street (potential futures), followed by 2 presentations which were both professionally scribed by Jack Burgess to create a visual collective memory of the content. In closing, the group participated in a facilitated futures-oriented conversation.